Thomas Calder started his musical career at age 21, self-recording debut album “Bleeders” and releasing it in Nov 2012 to rave reviews & national radio play. From these humble beginnings, his music career has grown from strength to strength. Producing five studio albums in six years (The fifth to be released this year) receiving esteemed awards such as the Grant McLennan fellowship and APRA PDA award, and travelled the world, touring both nationally and internationally with respected acts such as Big Thief, Sparkadia, Julia Stone, Matt Corby, Father John Misty, & Of Monsters & Men and played acclaimed festivals such as SXSW twice, Filter’s Culture Collide festival in LA, CMJ NY, The Great Escape, Harvest and Falls Festivals. As well as a thriving music career Thomas is also a prolific film-maker, and photographer. 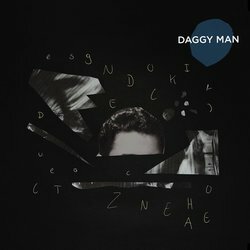 He's produced several short films as well as all of the film-clips released to accompany his music, and creates all of the design and photography around his current project "Daggy Man" entirely himself.